Hey everyone. Erica here! I have some news: I discovered the secret to making low-carb gluten-free baked goods that are moist, seriously chewy, and hold together without crumbling. These cookies are sugar-free, grain-free, gluten-free, dairy-free, and taste like Nutella. Instead of using the commercial sugary spread, I based the cookies on hazelnut butter with some cocoa added. 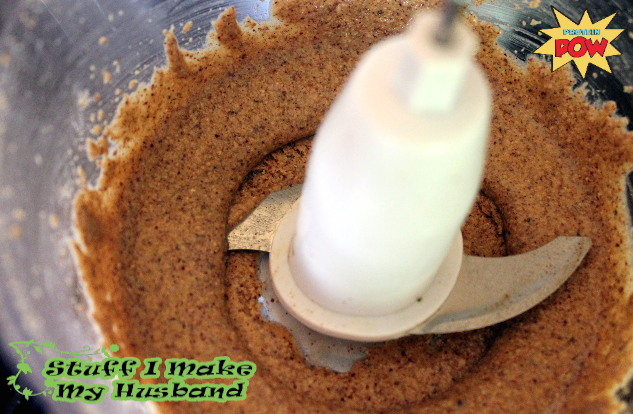 I just made the hazelnut butter myself in the food processor, it’s super easy to do. Though if you don’t have a food processor I included some variations at the end. These are thick and chewy; not soft, pasty, or crumbly like many gluten-free recipes. I’m sure you’ll love them as much as I did. Their secret lies in protein powder. Not whey, not hemp, not even a proprietary blend called “xtreme anabolic intra-workout matrix” (you know what I’m talking about, you read the labels). Nope, none of those will do. The magic ingredient? Beef protein isolate. Beef protein?! “Wohohoa!! !”, you might be thinking. At least, that’s what Anna said (err, typed) when I told her that’s what I use. So that’s why I’m making this guest post. But let me back up a bit. What compelled me to start putting beef protein powder in my baked goods in the first place? It started out with a simple desire for lemon squares. I tried making a low-carb recipe for those with an almond flour crust. They were lemony, but they were NOT squares. It was more like crumbled up lemon almond dust. 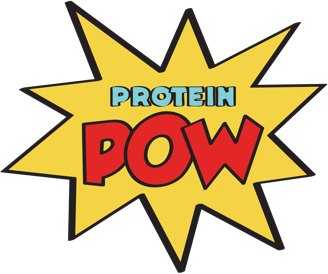 Knowing a little bit about protein, I thought that perhaps protein powder might be the solution. Wait a minute. 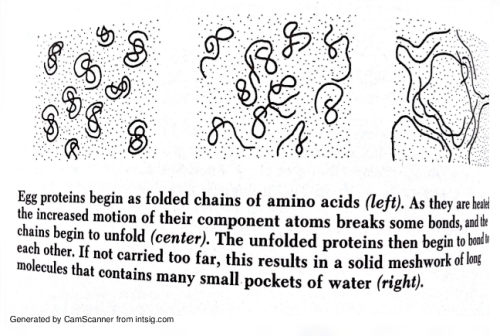 So wheat protein = doesn’t dissolve in water. Egg and dairy protein = water soluble. But BEEF protein…water insoluble?! I’d seen this stuff for sale at True Nutrition. Maybe this could be my answer? 1) Gluten continues to absorb water, and as it denatures, it forms thick juicy rope-y strands in your dough or batter. It holds together baked goods, keeping them from crumbling and making them chewy and moist. Since BPI is water-insoluble like gluten, maybe I’d get a similar effect! 2) Starch in wheat flour also absorbs water and gelatinizes (think about the slimy layer of starch you get on your pots after boiling pasta). The gluten protein matrix helps hold in the gooey-textured starch. This helps keep baked goods nice and moist. Collagen proteins in meat also form gelatin in the presence of heat + water. Maybe BPI could help here as well? Sweetener of choice – to taste (note: my protein powder was unsweetened so I used 2 tablespoons Truvia that I powdered in a coffee grinder). 1. Set the oven rack in the middle position and preheat the oven to 350 F.
2. Powder the BPI in a spice grinder, coffee grinder, or blender (I’ve found that it doesn’t mix well and this is an essential step when cooking with BPI). Set aside. 3. Heat a large skillet over medium heat. Add the hazelnuts and toast, stirring and shaking the pan often, until nuts are fragrant and start to brown. Do NOT burn! 4. While the nuts are still warm, transfer them to a food processor with the coconut oil. Process for a long time, stopping to scrape down the bowl as needed, until you have a creamy hazelnut butter. In the interim it will be a chunky mess and you will think, “This isn’t working, it’s never going to turn into hazelnut butter”. Trust me: just keep dutifully scraping and blending and press on. 5. Blend in the BPI, sweetener if using, egg, cocoa powder, vanilla, baking soda, and ½ tsp salt until thoroughly incorporated. Taste and add more sweetener if you’d like. Then carefully pulse in the chocolate chunks; pulse just enough to get them incorporated. 6. Line a baking sheet with parchment paper (this is KEY, otherwise they will stick). Use a heaping tablespoon to divide the dough into 6 big lumps (you’ll have a little extra cookie dough for munching). Wet the tines of a fork or the bottom of a drinking glass with water and use it to press a dough ball flat. Repeat with each cookie, re-dipping in water each time. 7. Bake at 350 F for 6-8 minutes or until just solid. Do NOT overbake! 8. Sprinkle with coarse sea salt while still warm. Let cool and serve! 1. Use 8 oz pre-made hazelnut butter or any other nut butter instead of making your own. Almond butter would be tasty. 2. Make thick chewy peanut butter cookies! Use 8 oz creamy peanut butter, omit the cocoa, and use ½ cup chopped roasted peanuts instead of chocolate chunks. 3. Use 8 oz Justin’s chocolate hazelnut butter (about half a jar like this) and omit the hazelnuts, coconut oil, cocoa, and sweetener.